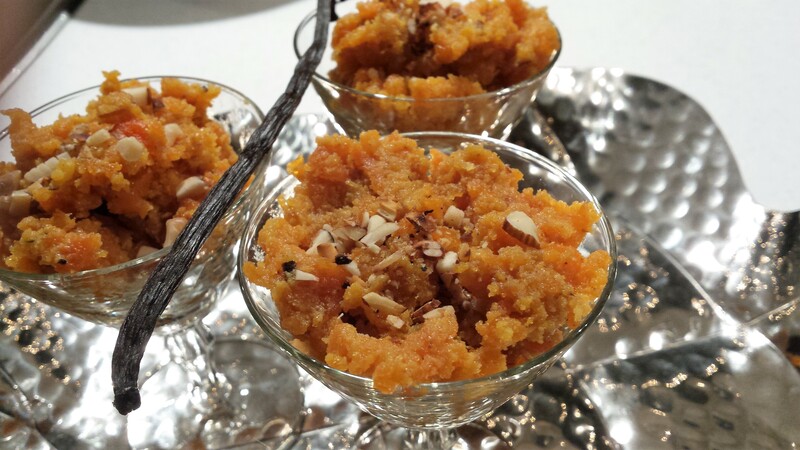 Carrot Halwa or commonly known as “Gajar Ka Halwa” is one of the most popular sweet recipes in many Indian household. It’s a sweet dessert made on festive occasions such as Diwali, Holi, parties etc. 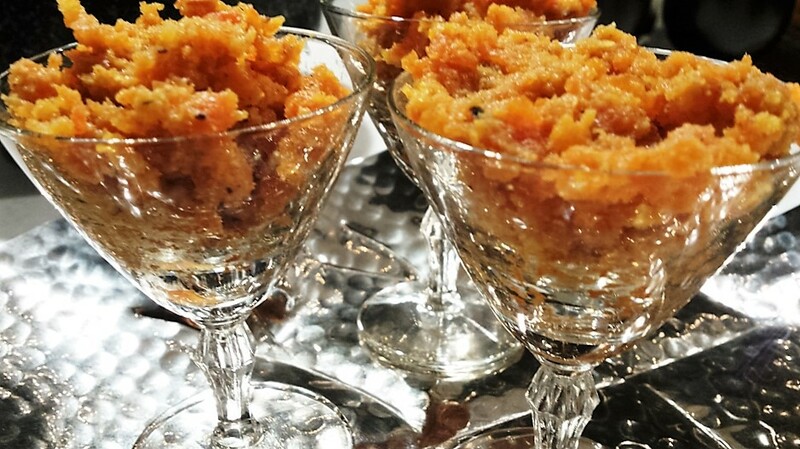 Carrot halwa is a classic Indian dessert that is made for most celebrative occasion and very much a favourite of many people. So why not on today’s Special Day “Raksha Bandhan”. Raksha Bandhan’ or ‘Rakhi’ is a special occasion celebrating the special unconditional bond between sisters and brother. ‘Raksha Bandhan’ means ‘bond of protection’, and by tying a thread round the brother’s wrist it signifies strengthening and protecting from all bad deeds. The significance of which symbolizes the love between siblings, well-being, good health, prosperity and happiness. However as I always say every day is a Special day in itself…..Today some people may feel very sad today for personal reasons and others very happy and yet those who despite having their brother/sisters it makes no difference. We all have our own opinion and ways to deal with relationship and bonds. For me there is not one day that passes by and I do not think of my brothers…they are in my thoughts always. Yes today is a dedication day, but celebrate Raksha Bandhan every day as blessed are those who maintain such bonds. I feel blessed to experience it every day …wish my dear brothers a Happy Raksha Bandhan Day. 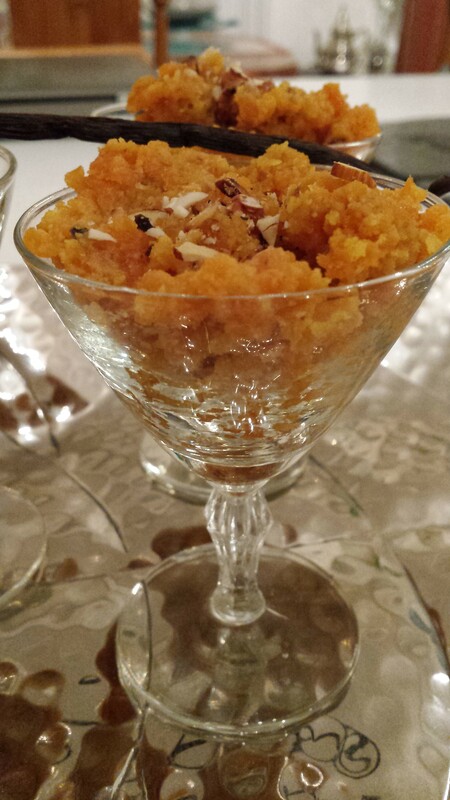 Onto something sweet and indulgent is my Carrot “Halwa” to follow. The bright golden colours that exude from the carrots, melting in the mouth, sweet crumbly yet creamy texture is totally irresistible. It is a dessert that does not need much introduction, as it is one that explains itself – deliciousness. Handful of mixed nuts – chopped (pistachio, cashew nuts, almond) I like to dry roast the nuts in a pan and set aside to cool. Mix the half of the condensed milk (evaporated milk is using) and milk together. 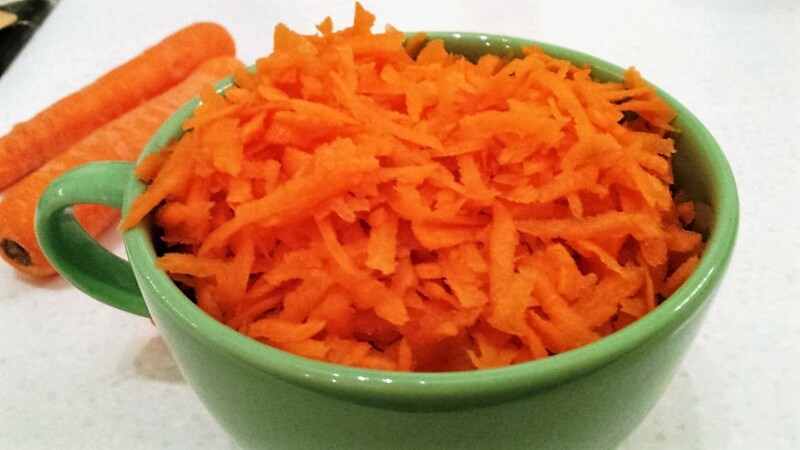 In a deep bottom non-stick pan, melt the butter, add the grated carrots and gently fry until it softened. Pour the milk over the carrots and cook over medium to high heat, stirring frequently. Add the cardamom and stir into the mixture. Leave to simmer until the carrots are soft and the milk has reduced to less than half the original quantity. Now add the sugar and let the mixture simmer until thickened together until they have reduced nearly. 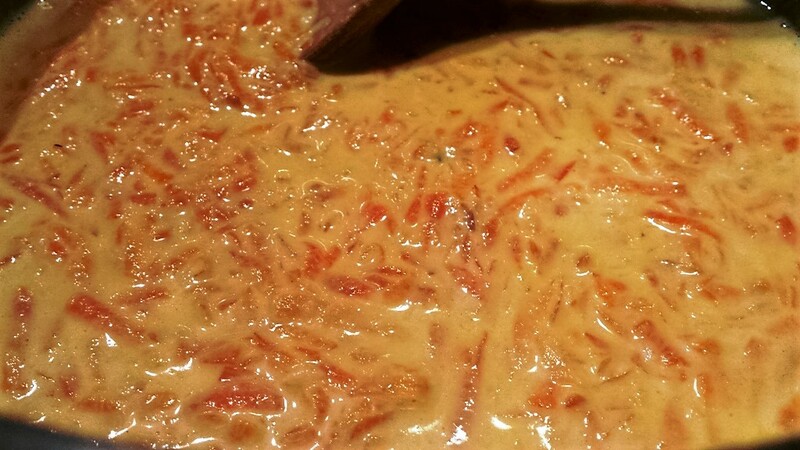 Add the rest of the condensed milk over the carrot mixture and stir frequently to prevent the mixture from burning and sticking to the pan. You should slowly see the mixture start to thicken and stick to the spoon. Before removing from the heat and half of the mixed chopped nuts, quick stir. Remove from the heat, set aside. 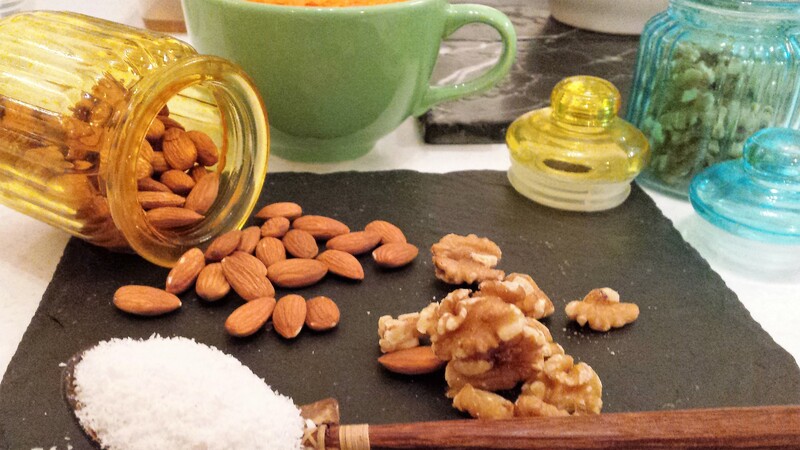 To serve sprinkle the some of the toasted mixed nuts on top. 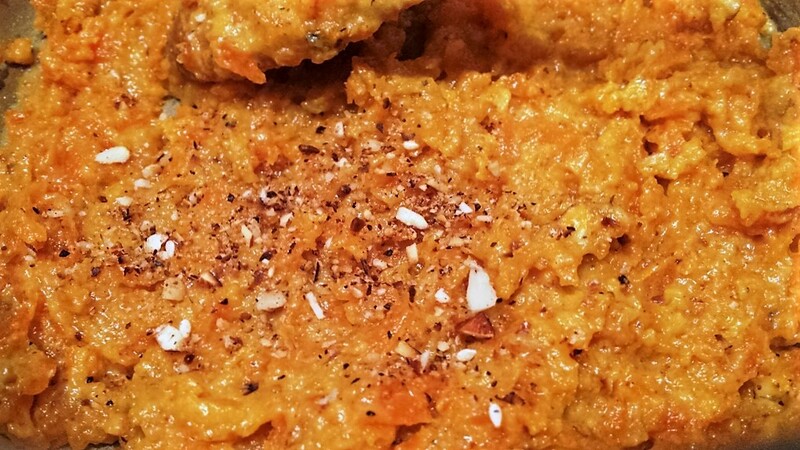 Brinda’s Note: Carrot Halwa can be served hot or cold. They will keep well in the refrigerator for 3-4 days.